In the past several years, I have adopted an inquiry based approach to teaching. In connecting and conversing with colleagues, I have observed that there is as much disagreement about what inquiry based learning and teaching is as there are approaches to inquiry itself. How can we all become better inquirers? If this is the basis for discourse and conversation, then the possibilities for learning are endless. Both inquiry and research are processes which aim to acquire new understandings. In the context of education, especially elementary education, I would assert that research is an inquiry tool. Learners use research to increase knowledge and understanding. However, inquiry learning is not limited to research. In an inquiry learning environment, discussion, speculation, artistic expression, fantasy, kinesthetic representation, etc, all have equal value in relation to data oriented research. Inquiry places just as much importance on the various stages (or lack thereof) of the process, whereas research is generally more information and product oriented. Research seeks answers. Inquiry seeks questions. For my own inquiry, I would like to share a few of my favorite visualization models and how they inform my understanding of the distinction between inquiry and research. I believe that the How to Science! graphic represents an approach to research. First, it is linear. It also implies that everyone will go through the same ‘ups & downs’ along their journey through curiosity and learning. Linearity is more characteristic of research than inquiry. 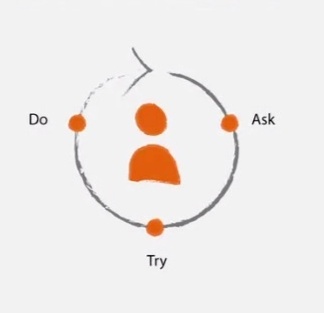 In the ‘Ask, Try, Do’ graphic, from the Macromedia University for Media and Communication ‘Design Thinking’ MOOC, a model for inquiry is reduced to as few stages as possible. It seems to me that a model like this would be ideal for young learners who might often find themselves engrossed in ‘trying’ without considering what questions would help them to learn and proceed or who may need prompting to reflect on when a certain inquiry is ‘done’. The above graphic, attributed to Kath Murdoch, expands upon the more simple model in a way that emphasizes research strategy. By emphasizing research as an inquiry tool, an effective balance is achieved. This model also has a certain linearity, based on the numbering of the inquiry stages, although its circular shape seems to welcome improvisation within the model. The expanded model from International School of Tianjin is a favorite among my students, as it provides specific questions that can inform the inquiry process. However, if the goal of inquiry is to seek questions, is it counter productive to include them in the model? The Creative Learning Spiral from the MIT Media Lab Lifelong Kindergarten is my personal favorite and best appeals to my Constructionist sensibilities because it places ‘create’ early in the process and, unlike the previous inquiry process, it constantly builds upon itself as reflection leads to new imagining. The inquiry cycle models here are useful as a reference for planning or as shared mental models to facilitate discussion and collaboration. However, shouldn’t each inquiry be unique? As learners engage with different learning models and utilize them in different ways, they will naturally begin to synthesize and enhance them. If research is neat, inquiry is messy. Often, research follows a specified methodology because it is necessary for scientific credibility. Inquiry doesn’t need to be credible. Shouldn’t learning be incredible? Posted on May 30, 2014 November 20, 2016 Categories CoETaIL, IBO Primary Years Program, inquiry learning, Making Learning Connected MOOCLeave a comment on Inquiry or research? Exhibition: PBL To The Max! This year, my sixth grade class prepared and presented our school’s first Exhibition. As an International Baccalaureate Primary Years Program candidate school, it was an opportunity for me to research project-based learning, put into practice the guidelines established by the IB, and for our students to experience a culminating project to conclude their elementary school lives. The timing of the Deeper Learning MOOC, a massive open online course dedicated in large part to Project Based Learning, could not have been better. A host of organizations were introduced and resources shared and discussed, as well as models and frameworks that I could use to inform and enrich my role as a facilitator and coach. If an exhibition is the overall objective of a school year, I discovered that it provides a strong structure on which to practice skills and pursue inquiry. 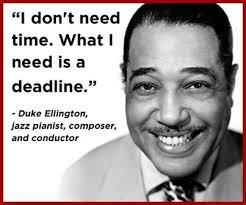 But more importantly, it provides a deadline to complete a project. Deanna Mascle recently reflected in her post, Why Project-Based Learning?, ‘In project-based learning (PBL) the project is the learning – and the teaching and learning take place through the project.’ The trick for facilitators is to maximize, document, and curate the learning throughout the process. My own experiences with project based learning as a learner and facilitator have taught me the importance of choice. For a project to totally engage a learner’s interest, it must be self-directed. However, every project has arbitrary expectations and goals. 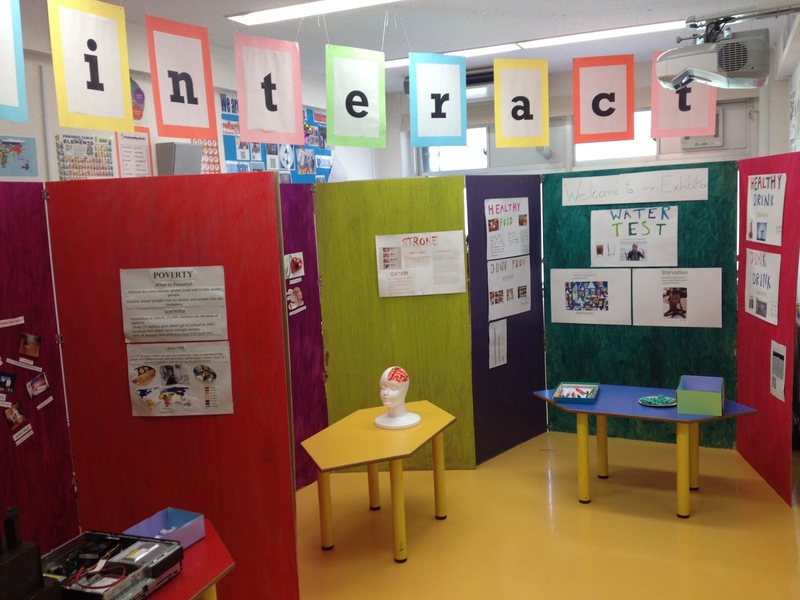 The IB PYP Exhibition Guidelines are an ideal reference for designing an environment that balances student choice with general expectations. By connecting with and learning from several experienced Exhibition teachers, in particular Sam Sherratt and Kristen Blum, I attempted to design a learning and working environment with enough structure and support to set up students for success, yet with enough flexibility and freedom to empower students with agency for authentic action. My solution was to use individual wikis as ‘home bases’ on which each student could document all aspects of their inquiries according to an outline of requirements. As they worked, we held regular consultations to discuss and document the formal elements, such as applications of academic skills and conceptual understandings, of their projects. Looking back, I should have done more to structure these formal elements on a calendar. For example, while reflection with a teacher or mentor is important, it would have been more effective to schedule activities in which students cooperate to assess and discuss each others’ projects-in-progress by focusing on particular elements in each session. While students selected and pursued their inquiries independently, one design success was to require certain tasks. Specifically, every student was required to complete an expository essay, a persuasive speech, and an expressive work of art. Limiting the scope of the products was very effective for increasing student agency, although in the future, I plan to focus on each as an assessment task by itself during the school year to develop applicable skills. Rubrics were also a key feature for setting expectations. These were created collaboratively as a class early in the process and were based on the model that we have used throughout the year. By clearly defining success criteria for the formal elements, I believe that we maximized opportunities for students to exercise choice and direct their own learning. In December, we began specific preparations for the Exhibition by discussing and synthesizing a theme title and description. 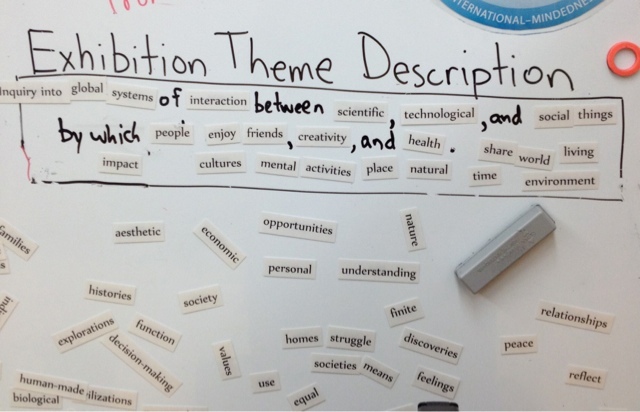 As I wrote in the post, PYP Exhibition Theme Synthesis, our theme needed to integrate aspects of all six PYP transdisciplinary themes and unify students’ inquiries and interests under a common conceptual theme. My solution was to play poetry magnets. 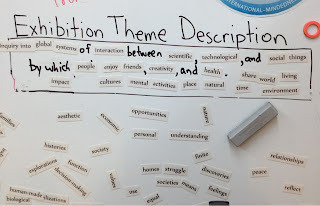 By mixing and matching, the students were able to cobble together a theme description that, with a little semantic help from me, includes everyone’s contributions and provides general context for all of our work. How we interact is our theme title, and I have noticed that when students’ inquiries have wandered astray, referring them back to our theme has been very valuable to help them refocus or reorient themselves. One of the most successful features of our project was a temporary Bring-Your-Own-Device policy. Normally, our students check their technology at the door during the school day, however, in order for our exhibitioners to take ownership of their learning and projects, I petitioned the parents and administration to allow students to utilize all of the tools at their disposal. 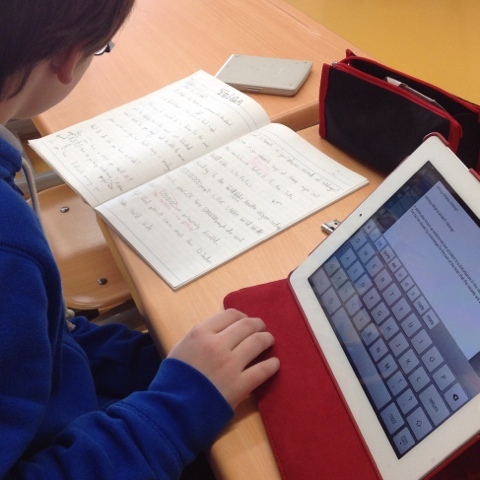 The result was increased motivation and efficiency as students learned how to apply the fluency they have gained with their ‘smart’ devices to their academic learning. The only required ongoing tasks were two reflections per week: One blog post and one video. Surprisingly, while at times entertaining, this was one of the least successful activities in terms of student learning. Why? The early reflections went as expected. Blog posts were recountings of activities. A culture of listing day-by-day even grew organically as a method to organize. Videos started giggly and progressed to more sober as the Exhibition became imminent. Unfortunately, few reflections were ‘deep’. They generally lacked emotion and personal connection. This is my greatest challenge for future long term projects. How can we utilize technology for formative reflection more effectively? One idea is to provide prompts for each reflection. Similar to the documentation process needing more structure and opportunities for peer-interaction, I think that the reflection process needs more scaffolding, at least in the beginning. There are rich possibilities, such as choosing prompts at random or me, as a coach, writing prompts that become increasingly complex and challenging. If the project is the learning, then formative reflection and self-assessment is the most important facet of its documentation. This is an area that requires significant attention and a line of inquiry that I am excited to pursue and would welcome collaborators! Personally, I believe that a culminating project, in this case the PYP Exhibition, is a rite of passage. Please see my post, PYP Exhibition: A Rite of Passage, for more details and to view my attempt at an inspirational and provocative video. The resolution of the cognitive dissonance students experience occurs when they assume responsibility for their learning processes, agency for their choice of actions, and ownership of their learning artifacts. This seemed to occur at various times and to varying degrees of intensity. While it is difficult if not impossible to assess or document, another of my driving goals for the future is to optimize opportunities for cognitive dissonance and resolution during the Exhibition. Again, I believe more activities to stimulate students to reflect on their beliefs about themselves would help. Finally, to mediate the stress of concentrating on a long term, transdisciplinary project, we had fun. From research like the findings reported in the Wall Street Journal article, The Inner Workings of the Executive Brain, it is clear that while deadlines and schedules may be good for short term motivation, over time they cause changes in the brain to the detriment of creativity and productivity. One of the best decisions we made was to schedule a field trip to an amusement park to ‘kick-off’ formal preparations for the Exhibition. Everyone’s mood flipped that day, and I noticed renewed focus and seriousness in the weeks that followed. I highly recommend such an activity to anyone pursuing PBL with their class. Students were also free to manage their time independently, including taking breaks and playing games. I also planned some team-building activities that were enjoyable. Most often, I found myself reminding students to take breaks and suggesting that they go outside for a stroll to refresh their minds! Project Based Learning is fun. My goal for the future is to plan and schedule a little more to provide a more stable foundation for students’ projects. This planning stretches to the beginning of the school year, as it is important to ensure that all students have had opportunities to practice the skills they will need to recognize and report on their learning as it is happening. I’m curious to know other PBL facilitators’ strategies for supporting your students’ inquiries! Posted on May 23, 2014 November 20, 2016 Categories Assessment, CoETaIL, Deeper Learning MOOC, dlmooc, IBO Primary Years Program, metateachingLeave a comment on Exhibition: PBL To The Max! This week, I am excited to continue my connected learning inquiry as a participant in a new course, Teacher Practice in a Connected World, taught by Meenoo Rami, author of Thrive: 5 Ways to (Re)Invigorate Your Teaching. I feel very grateful to be enrolled in the course on a scholarship from The Rendell Center for Citizenship and Civics. Our first task is to write a statement of goals. It’s a perfect opportunity to reflect on my connected learning and teaching journey which began about one year ago and summarize my hopes and goals for the future. During the past year, I became a connected educator. Locating other teachers actively sharing and interacting on social media, developing a robust professional blogging regimen, participating in the Making Learning Connected MOOC, and progressing into a participatory flow through a myriad of online learning communities has led me to a place in which the distinctions between teaching and learning, virtual and real, online and offline, have all become blurred beyond recognition. It feels like a long way from my teacher preparation courses nearly ten years ago. In those days, ‘educational technology’ was a set of multicolored markers and making a gradesheet with spreadsheet software. My college of education, one of the largest in the United States, had exactly one SmartBoard that I am aware of. Technology has been redefined in the past ten years and is now on the cusp of being used to redefine education. I believe that connected learning, specifically digitally networked learning will replace schools as we know them in the not too distant future. I also believe that this is a change that will benefit learning as a function of being human, education as an institution, and the world as a whole as our capacity for international understanding and cognitive empathy increases. Connectivist Massive Open Online Courses (cMOOCs) are a prototype of this development in learning, as are the many various online spaces from student blogging platforms to maker spaces, interest focused forums to social media. I have learned a lot as a participant in the COETAIL community of international educators. Edcamp is also a revolutionary development and I was honored to help organize the first Edcamp Tokyo. I am joining this movement and the ‘Teacher Practice in a Connected World’ course because I want teachers, as professional learners, to wrest and maintain control of educational technology and connected learning. We must master and use technology to continue to alter the course of the education so-called pendulum so that it swings ever more strongly toward learner empowerment. Hopefully, we will be able to begin to design networks that can realize the potential for connected learning that already exists. In fact, the networks already exist. We need to coach ourselves and our colleagues to use them and take ownership. I am hopeful that one aspect of this course will be to create channels to encourage more teachers to join the digital collaboration that has already begun. To do this, I think I need to understand the attitudes and practices that currently exist beyond my school and connected learning networks. Why isn’t everyone sharing online? When I invite colleagues in my school to participate in a MOOC or join a discussion forum, they literally never do. Am I selling it wrong? 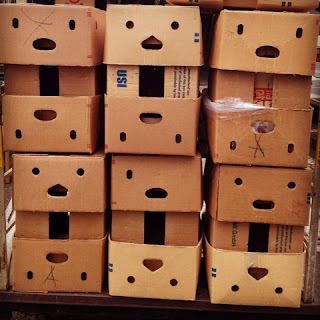 Is there something I could do to make it easier for them to begin? I have approached connected learning from a totally practical perspective, as a learner, and I would like to spend some time exploring a more theoretical point of view. I believe that would enable me to better apply what I have learned as pedagogy. Design thinking, experience design, and learning design are disciplines that I believe are essential to my goals to transform my classroom into a connected learning space. This has been of interest to me since I blogged about it in the post, Metateaching: Teachers as anthropologists and designers. The Macromedia Design Thinking MOOC has been an eye opening experience and something very different than learning that I have done in the past, particularly compared to ‘education’ classes. I see the potential of design principles to create environments in which interest driven learning and standards based education can connect and thrive. The Maker Education Initiative is particularly interesting to me as a vehicle for supporting authentic learning and connecting it to the expectations of institutions and governments, particularly with so much emphasis being directed at STEM education (science, technology, engineering, mathematics). This year, I started an after school Maker Club. It has been fascinating to see our young makers’ attitudes toward creativity and collaboration change in the first few weeks from trepidation to confidence and enjoyment. Another project I look forward to developing further is Independent Inquiry. I started it two years ago as a way to replace homework with more relevant learning. Now, it incorporates values and principles from many of my favorite learning organizations including Connected Learning and the 21st Century Fluency Project. This summer, I plan to revise and reiterate the reflection tools once again for the next school year. Ideally, I would like to collaborate with other teachers interested in connecting students pursuing similar inquiries or to inspire each others’ curiosities. Many classrooms are applying Genius Hour, but I don’t see the kinds of sharing that existing networks could facilitate. I would like to help improve that situation. Finally, my goal is to have fun again this summer. Last year, the Making Learning Connected MOOC showed me how connecting formal and informal learning is enjoyable. I would love to invite and engage with more wonderful people and excellent learners! In October, the dry-erase whiteboard in my classroom was replaced with a Promethean ActivBoard. The children at school aptly described it as a ‘giant iPad’ as they explored the functions of dragging and dropping with their fingers and writing with the provided styluses. 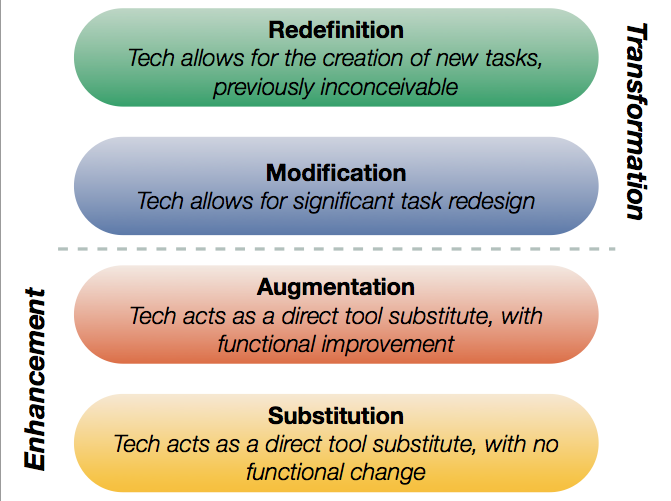 It was a much anticipated change, and now that I’ve had opportunities to integrate it into my approaches to teaching, this is an ideal opportunity to assess how I’ve utilized it according to the SAMR model of technology integration. Listening to Richard Wells speak about SAMR on the BAM! Radio podcast, Using the Four Step SAMR Model to Update Your Teaching Practice, was particularly helpful as he emphasizes the SAMR model as a tool for changing one’s mindset toward technology in the classroom. Say goodbye to dry-erase dust! At first, and with no additional training or time to prepare new activities, I used the ActivBoard as a substitute for a low-tech whiteboard. Although being able to use a myriad of colors and line thicknesses provides more expressive functionality, it could still be accomplished with dry-erase markers, albeit without all the grungy dry-erase dust. After using the ActivBoard as an inkless whiteboard, I realized the potential to save work in a variety of digital formats, including as a ‘flipboard’ that could be opened and edited later or simply as a screenshot for archival purposes. Gone are the days of photographing the whiteboard at the conclusion of a discussion! This was particularly useful for KWL charts and other digital visible thinking artifacts. The ActivBoard software can import PDFs to be annotated, a feature we have used effectively for interactively reviewing quizzes. 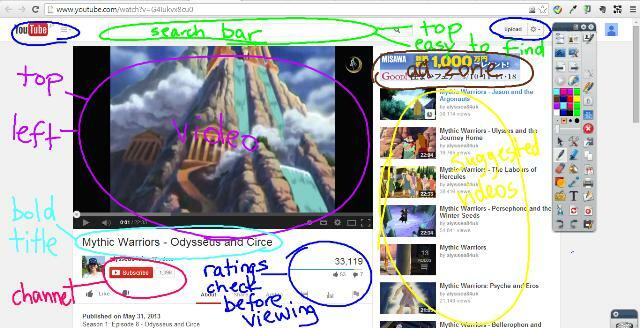 Another interesting application is desktop annotation. During an inquiry into visual literacy, we used this to discuss and make notes on the design and layout of our favorite websites. Thus far, the most noticeable augmentation relates to student engagement. The futuristic appearance of the ActivBoard and its similarity to familiar tablet computers has motivated students to participate more actively in discussions and contribute to visual media created in class. Discovering the capabilities of our ActivBoard revealed many useful features. 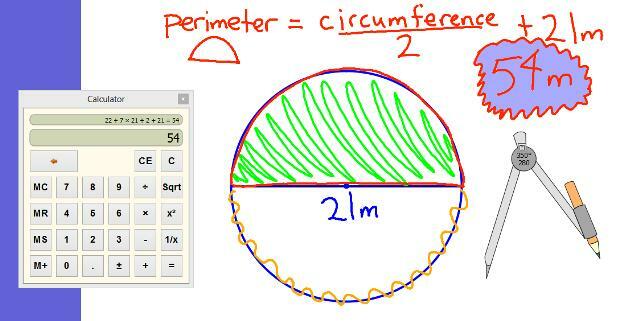 In particular, the Math Tools enable presentations and demonstrations to be completed with virtual versions of the same tools students are using at their desks. One application that was successful occurred in music class. To introduce a Grade 4 inquiry into digital sequencers, we used the ActivBoard to co-create a piece of music to practice the functions and features of the Online Sequencer. In the past, I generally introduced new applications by first using a digital projector to make a presentation to outline key features, then providing time for independent or small group exploration. The ActivBoard allowed for a bridge activity between teacher presentation and independent practice that is visually, physically, and socially engaging. It also has a good audio system! Can the ActivBoard redefine learning? A common thread running through the discourse on ‘modification’, and my primary goal for technology modification, is student agency. Technology provides unprecedented opportunities to personalize learning and empower learners to take ownership of their learning processes. To use the ActivBoard to achieve the goal of increasing student agency requires a mindset change with which I am still grappling. After all, it is still a screen mostly suitable to presentation. Perhaps it can be used to redefine ‘presentation’ into an interactive experience, but that would require an in-depth inquiry into tools beyond the ActivBoard itself. Perhaps those are the exact tools students and I should be learning. Is there a way to connect learning on the other ubiquitous touch screen devices like iPads with the touch screen ActivBoard? A quick inquiry revealed a post, What Can I Do with an iPad in an ActivBoard Classroom? (Part 1), from the Promethean Planet community blog, and Apple Kills the Interactive Whiteboard with iPad 2. In both posts, hints of the benefits of iPad/ActivBoard compatibility are mentioned. Evidently, however, those ideas have yet to be realized. My own plans focus on using the ActivBoard to redefine ‘presentation’. As an inquiry teacher, curating and presenting thought-provoking media is critical. Thus far, that seems to be the primary strength of the ActivBoard and the most obvious line of inquiry for me to pursue.